Waking up Screaming is an anthology of tales written by H.P. Lovecraft. Lovecraft today is considered to be the father of modern horror. Before picking up the work, I read some accounts of his background through the Flames Rising links. Entranced with the trappings of a colonial life, Lovecraft lived in the early 1900s casting out all things modern. He frequently wore older styles of clothing, and made his home in Providence. Upon his death, his work was posthumously published by two of his friends. Lovecraft enjoyed some success during his lifetime, however, it wasn’t until World War II that his work gained in popularity. Reading Lovecraft is like reading an anthology of the backbone for all major movies, horror authors, roleplaying games and alien conspiracies. 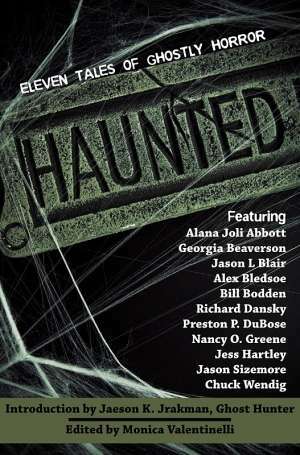 This particular anthology is a collection of stories that span horror themes and philosophies. Tales like “The White Ship” give the reader a unique perspective into the mind of a fantastic traveller. Fans of the Cthulu mythos will enjoy reading “The Shadow over Innsmouth.” Other tales focus on the events following death and the fragility of the human body. Still others pinpoint the meaning of a character’s will gone too far. Lovecraft’s antiquated writing style has the potential to dazzle and disgust the modern-day reader. In one respect, it is a fascinating read to wonder aloud at the sheer history of the work. Some of the stories read as pulp fiction from the period. Indeed, the stories give the reader a unique perspective into the times surrounding the author. In another respect, the modern reader has no doubt experienced writers like King and Barker. Their straightforward styles are a night and day comparison to work from the early 1900s. Most of the stories are written in first person. This narrative, by its nature, can be both positive and negative. The tales are written as if Lovecraft is taking the reader by the hand, spinning a yarn and drawing the reader in. When reading Lovecraft, it is as if one were discovering the production notes from the movie “Alien” or “The Stand.” Many modern-day references will ring a note of remembrance to the reader. The stories in their sheer imaginative effort are, in this reviewer’s opinion, more entertaining than Poe or Emerson. Color, scenery, design are never lacking in Lovecraft’s universe. 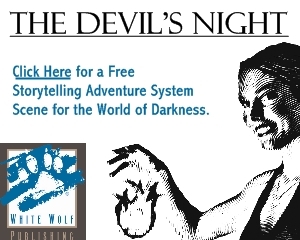 These stories are heavy with the philosophy that man may not be as all-powerful as he seems. Lovecraft’s view is revolutionary in the sense that he looks at humanity through a magnifying glass from above. He does not stand on an island looking above touting the wonders of man. In fact, his message is clear. If humanity pushes to accomplish things that are set outside of their natural realm, there will be dire consequences. Oft times, bad things happen regardless of whether or not a person wanted them to happen or not. The universe is just too big. To understand the birth of this idea, one must remember that Lovecraft was writing at the end of the Spirtualist movement. Remnants of the movement remained in the twenties, as evidenced by the content in early black and white films, but by far the public’s need for occultists was over. As background material for reading this book, I recommend reading some history on the Spiritualist movement. Understanding Lovecraft’s world will give any reader a deeper appreciation for the sheer majesty and scope of his imagination. By approaching this anthology from the regard that there isn’t a single horror author, filmmaker, or game creator today that has not stated that they were experienced by Lovecraft, one will find themselves part of a horror community. Games like Orpheus, Wraith, Unbidden, and Obsidian all have part of the Lovecraftian universe as part of its makeup. After reading this anthology, one will get a sense as to how to enhance their current game or create a new one.